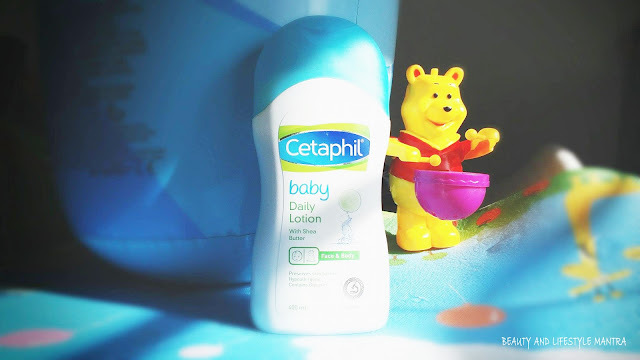 Today I am featuring on my blog a daily baby lotion from Cetaphil. My son tends to have dry skin. For this reason, I always try to keep his skin moisturized. Not only that, I observed from last summer, he was suffering from heat boils and body rashes during the entire summer. Really, he has a quite sensitive skin. Our pediatrician recommended us to switch to a gentle and effective daily body lotion which helps to make his skin healthy for the future. So he recommended us Cetaphil Baby Daily Lotion. Babies’ skins are very delicate and sensitive. So, as a responsible parent, we should be always concerned about right skin care products for them so they could grow up with normal healthy skin. 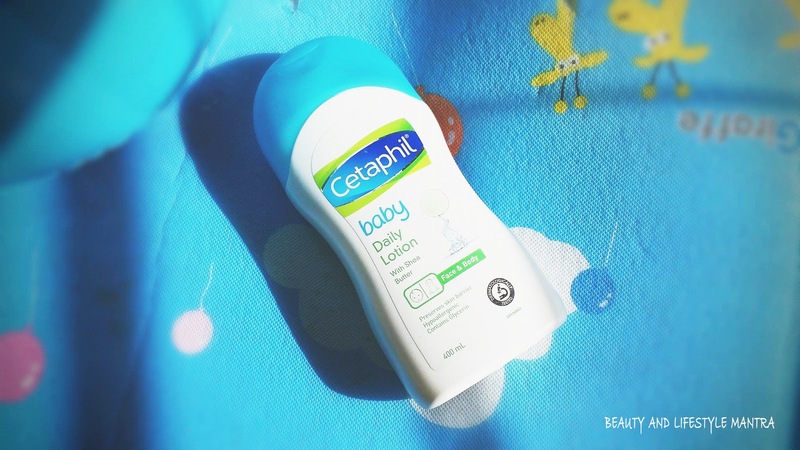 Cetaphil Baby Daily Lotion is specially designed for babies’ delicate skin. I have been using this lotion for our little boy’s skin for past few weeks. The lotion is quite runny, the texture is also soft and smooth. It is very easy to apply, pour the desired amount of baby lotion onto your hand and rub both hands together to warm the lotion just before the application. I apply this lotion on his face and body, it absorbs so quickly. It doesn’t leave a greasy feel to the skin. It provides 6 to 7-hour hydration which I really love. I apply this lotion on my baby’s skin twice a day once in the morning just after the shower, once at night before going to sleep. This moisturizer goes very light and smooth on skin. This moisturizer is rich in ingredients like glycerine, shea butter, and other natural oils that keep skin naturally moisturized and healthy. This lotion helps in maintain the smoothness and natural moisturizer of skin. These all natural ingredients also moisturize and soften the skin very nicely. After applying for 2 weeks, I noticed his skin become soft smooth and it also helped to cure rashes. It smells great as well and lingers just long enough. I love how it absorbs into my baby’s skin and the lotion doesn't leave any sticky feeling. Availability of size. I am looking for a small size but it is only available in 400 ml jumbo size which is quite difficult to carry while traveling. Though I have noticed that the bottle was very easy to open and close flip cap which is close very tightly that make the packaging leakage proof. Overall, Cetaphil Baby Daily Lotion is a very good quality face and body lotion for babies. Its gentle formula is able to moisturize and protect my baby’s delicate skin from skin problems. The lotion, even though extremely lightweight, left skin feeling soft, supple and nourished. This lotion is non-greasy and easily absorbed into the skin. It is also free of harsh chemicals, like parabens, colorants, and mineral oil. Now, it is my preferred lotion. P.S: If you want to use this lotion for your baby just before use test the lotion on a patch of your baby's skin the first time you make it. Watch that area for at least 24 hours to see if your baby reacts to any ingredients in the lotion. If there is any redness, irritation or dryness, do not use that lotion for your baby's massage and consult your doctor. 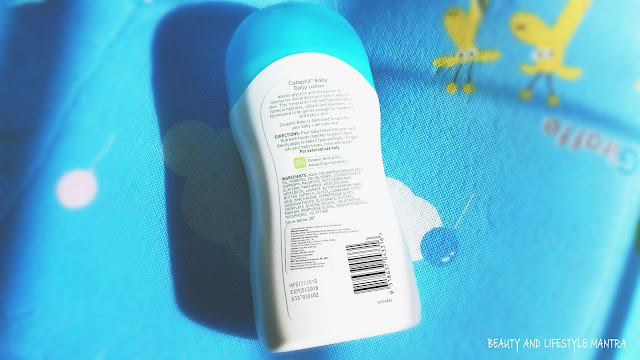 Nice and detailed review , Cetaphil products are good , I am also using one . Very well reviwed. It is very nice to know that this lotion keeps skin hydrated for 6 hours. Will try this for my baby too. Cetaphil products have always been mild and skin friendly. I will try this for my baby. Must give it a try. My little guy has sensitive skin although a bag sized bottle would be handy to have. Great to Learn. I love the shea butter component. First let me say that your product photos are awesome! Also, although I know this is for babies, I probably need to give it a try since my skin is both sensitive and dry. 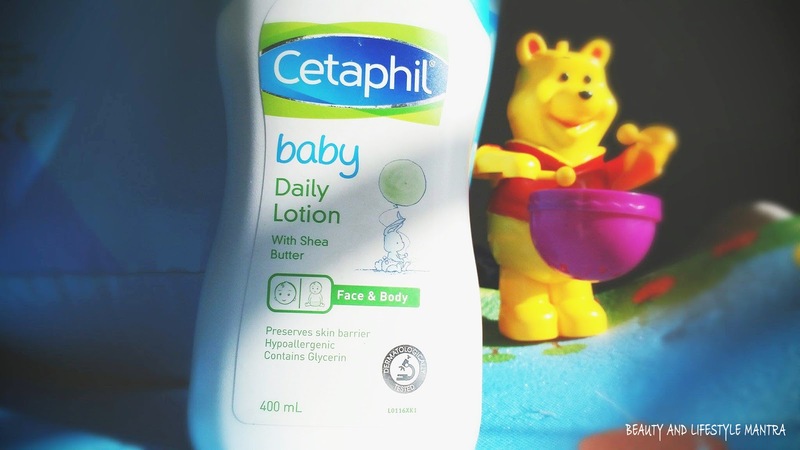 Cetaphil products are great for baby's sensitive skin especially if kids are sensitive to something or even for dry skin! But they are for sure costly! This sounds like a great product. I will have to pick some up! I didn't know cetaphil has a baby lotion too. I love cetaphil and always keep it at home for my girls. This one looks good too. Cetaphil sounds like a great lotion for babies. I'll have to keep this in mind once my baby is born in September! Nice product review. The lotion looks like something good for babies. 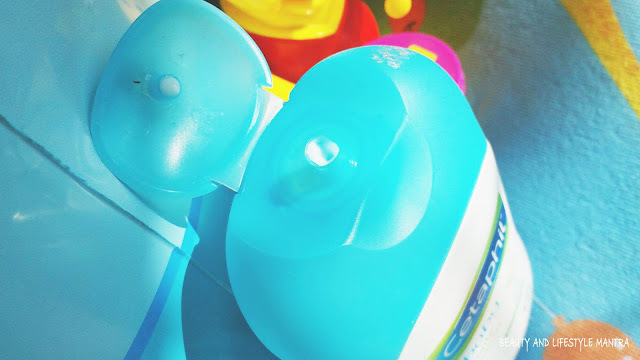 Cetaphil products for baby skin are a perfect remedy for moisturizing too. It helps to rejuvenate the skin and is mild on all types of skin. I have never heard of this product before. Thanks for enlightening me! I have always been a Baby Magic and Johnson & Johnson Baby Lotion girl. 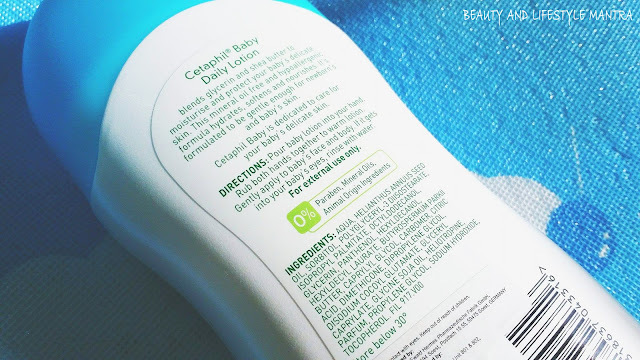 Now that I know of this Cetaphil baby lotion I will give it a try. Cetaphil products are amazing for dry skin! Cetaphil baby products are gentle on the baby's skin and are suitable for all kinds of skin types. Thank you for sharing benefits of Shea Butter on skin. Shea butter is currently used in multiple body products. Starting from the moisturizer, Shea Butter for skin is quite popular among skin care industry these days. This was really interesting info in this blog that to very happy for the nice technology in this blog. discover more info about baby products.